Having a carton of grapefruit juice taking up space in my fridge makes me want one specific drink, a Hemingway daiquiri. I fell in love with them on our trip to New Orleans a few years back and often find myself debating if I should order one when out. There are some great bartenders in New York City but I'm weirdly specific with my drinks and I don't like being on the receiving end of a blank stare. You know what I'm talking about. So I went over the ingredients to see if I could come up with something similar, but different since we're out of rum. 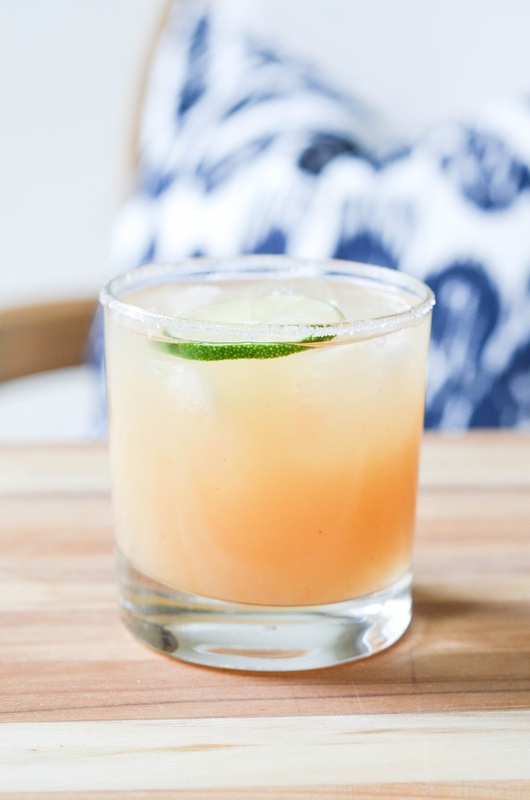 Lime, grapefruit, simple syrup... it all sounds very much like the makings of a margarita. Two grapefruit and tequila recipes in a row, why not? 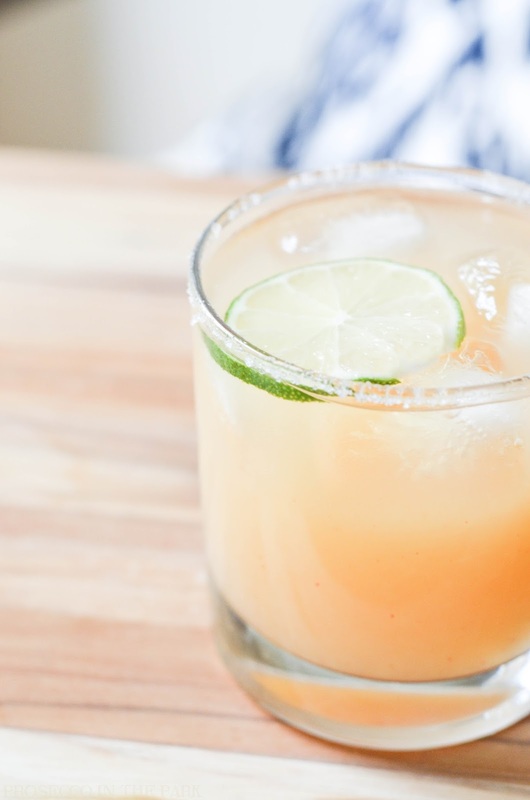 There are a lot of recipes for margaritas out there, everyone seems to make them a little different. It's all about personal preference. I ended up sifting through quite a few before I found one that I liked, altered it to my needs, and added a little bit of a twist. Different variations of "spicy margaritas" kept popping up and I was intrigued. I like spicy so the addition of some cayenne simple syrup was a no brainer. A margarita with a little burn. But there's no need to worry if that's not your thing because you can add just as much cayenne as you'd like or none at all. To make the cayenne simple syrup add equal parts sugar and water. Stir until sugar is dissolved. Add cayenne pepper to taste. I made only half an ounce so I used just a dash. Pour all ingredients into a shaker and shake with ice. Run the lime over the rim of the glass and dip in salt. 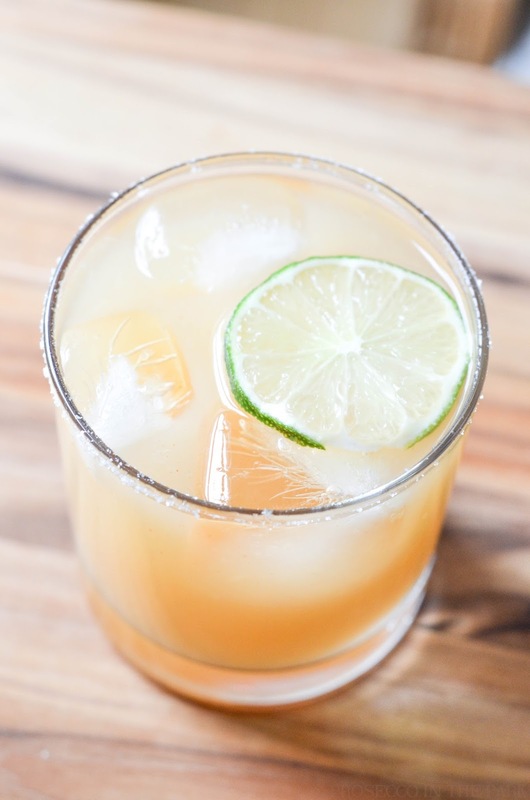 Pour into the glass, garnish with a slice of lime, and enjoy! Umm spicy and grapefruit and tequila?!? 3 of my favorite things ever! You'd be my best friend forever if you could be at my house with one of these when I get off work today ;) Have a great weekend! Ha ha! I know what you mean about the "blank stare." I get that look when I order a vodka gimlet. This looks sooo good! 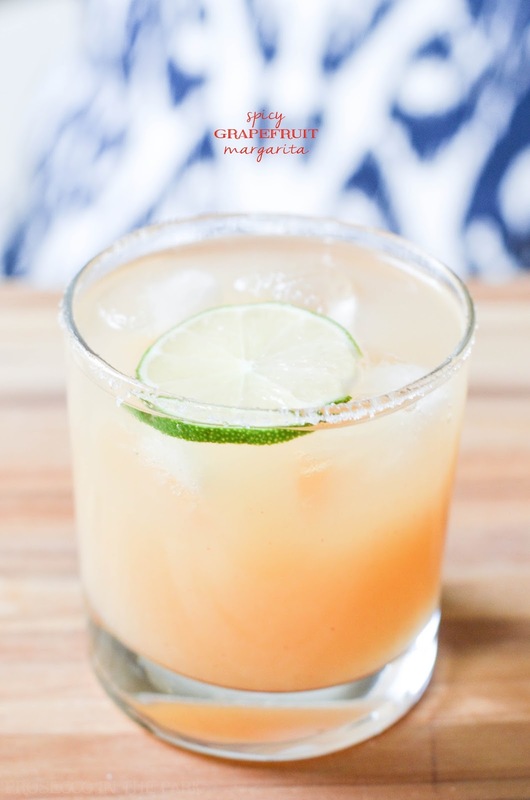 I love margaritas and grapefruit so this drink is calling my name! Oh yum, I love grapefruit anything! To bad I dont drink... Ill have to try this virgin style!